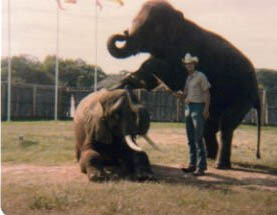 Cole Show "Carrie" and "Mem" at Fort Wear Game Farm in Tennessee. 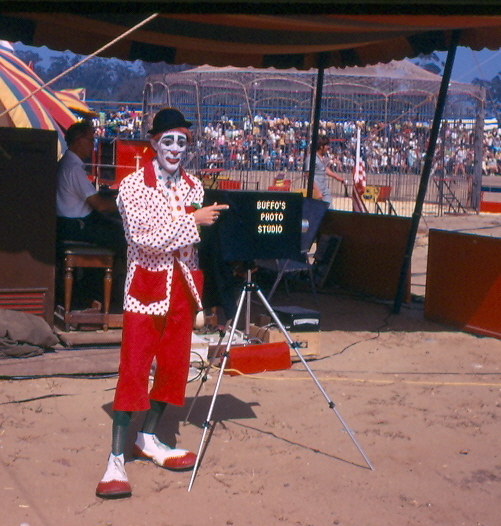 Tony Diano Diamond O Ranch in Canton, Ohio. 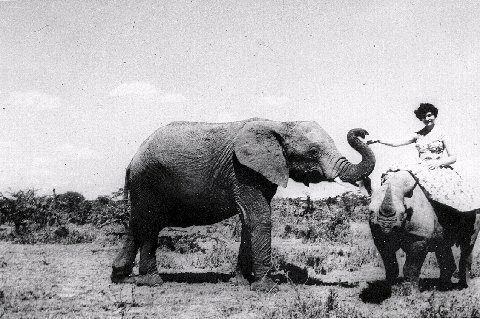 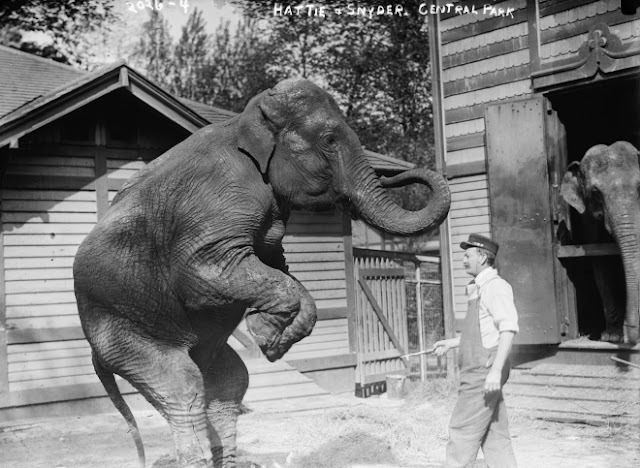 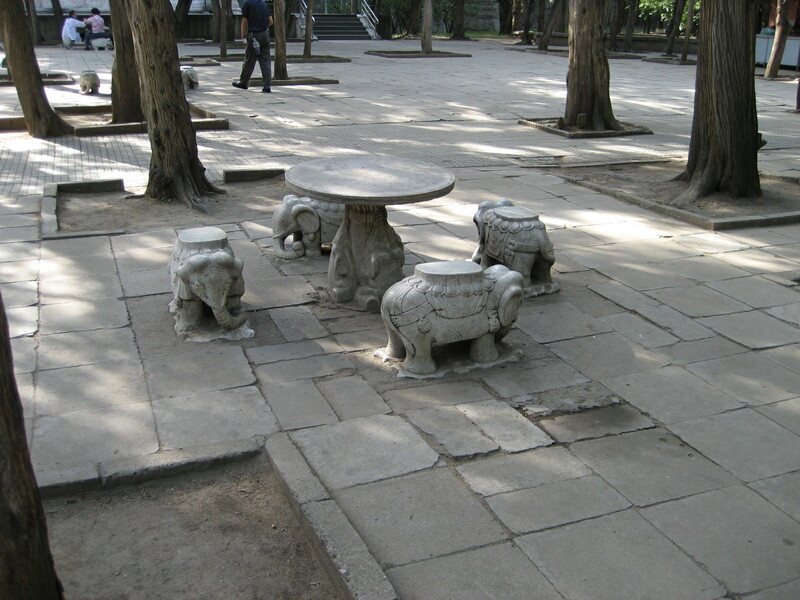 King Tusk "Tommy" at left. 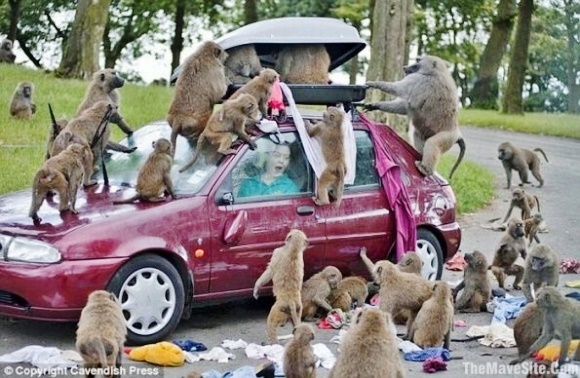 This picture looks a bit dubious. 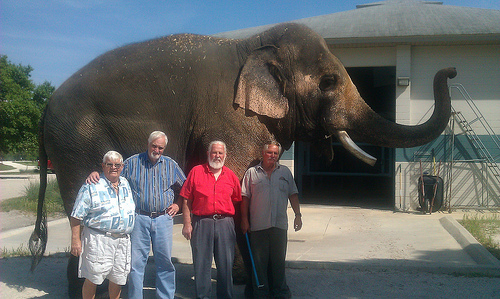 Four men out standing in their field! 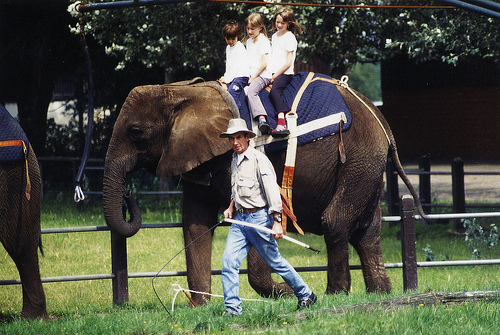 Gallagher Family with Tiny on top. 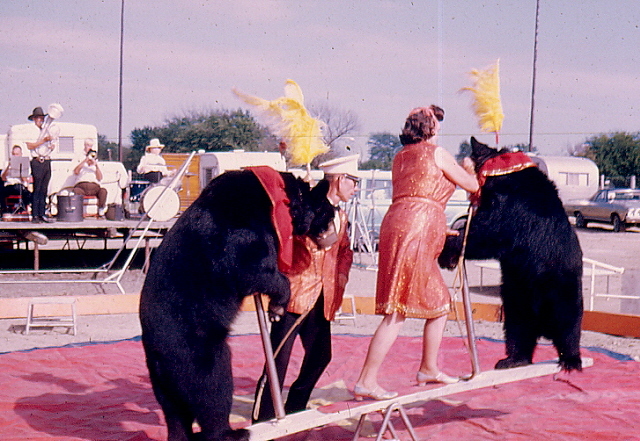 Newman's Bears with King Bros. 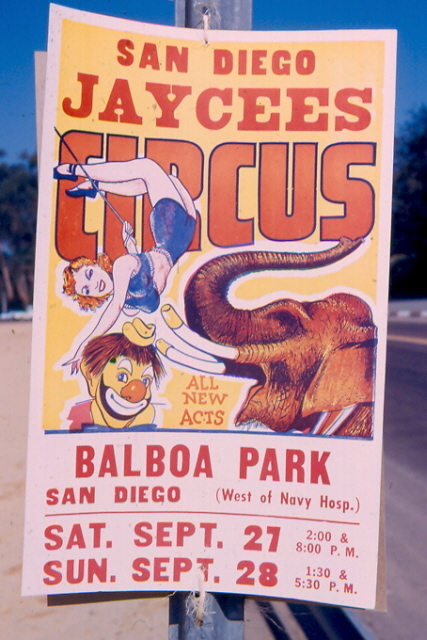 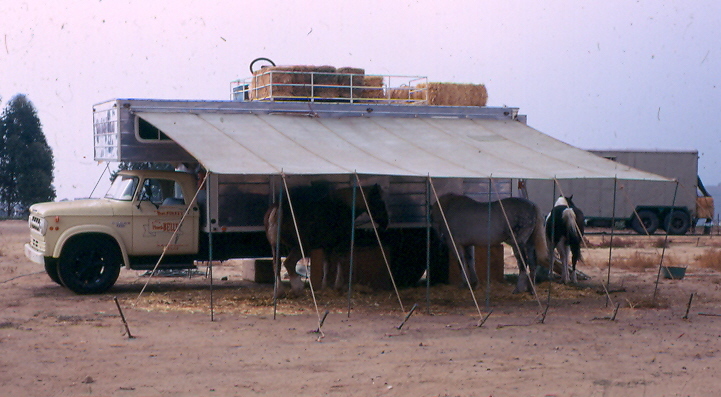 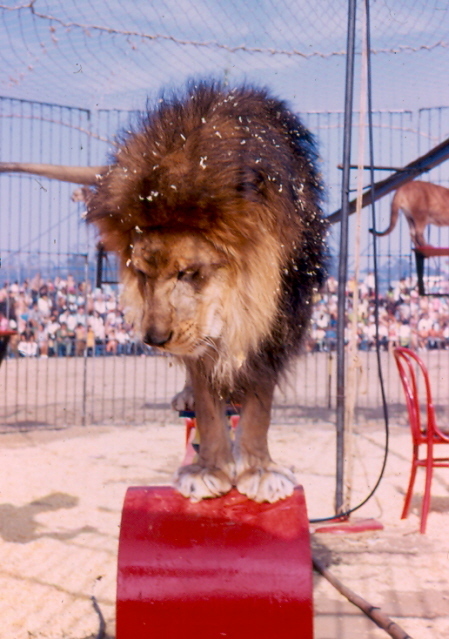 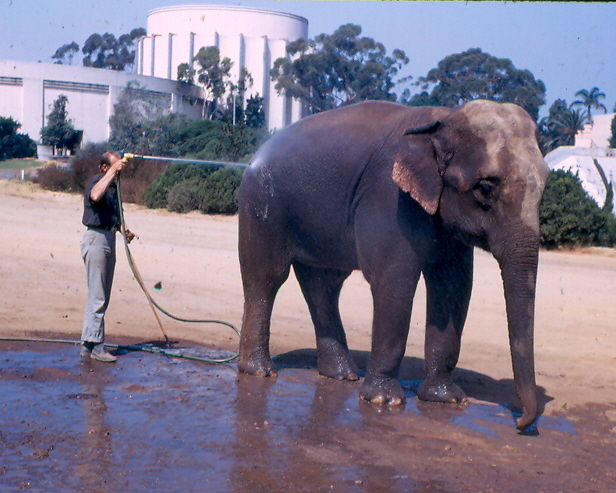 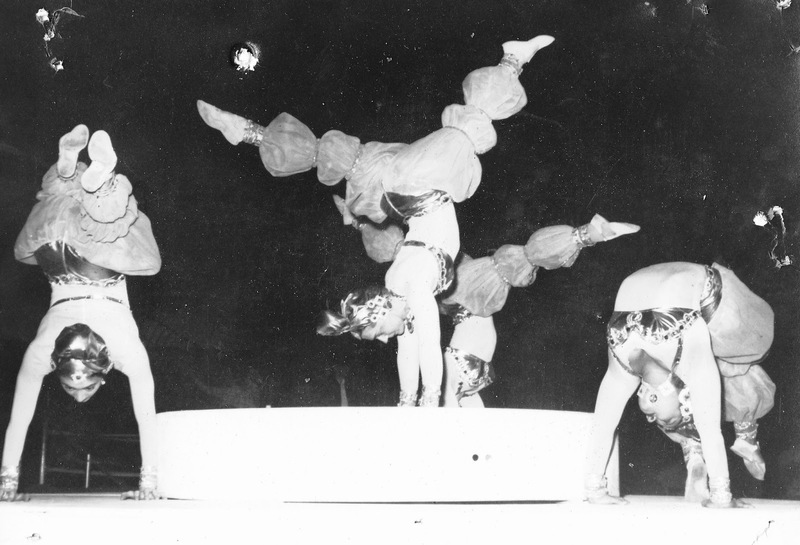 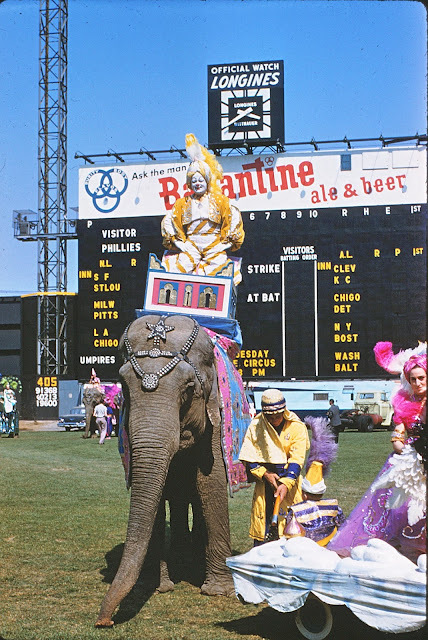 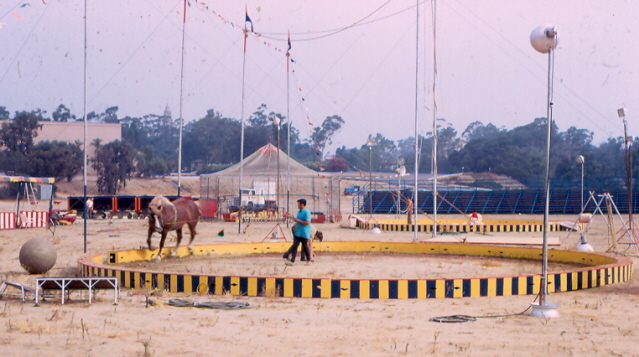 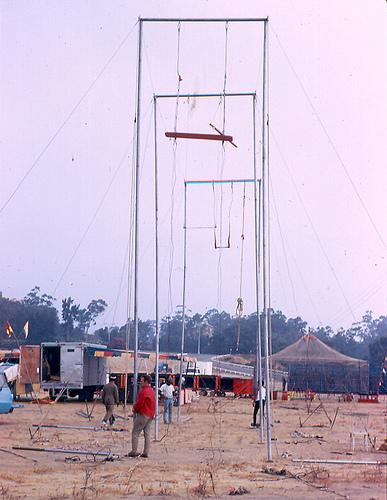 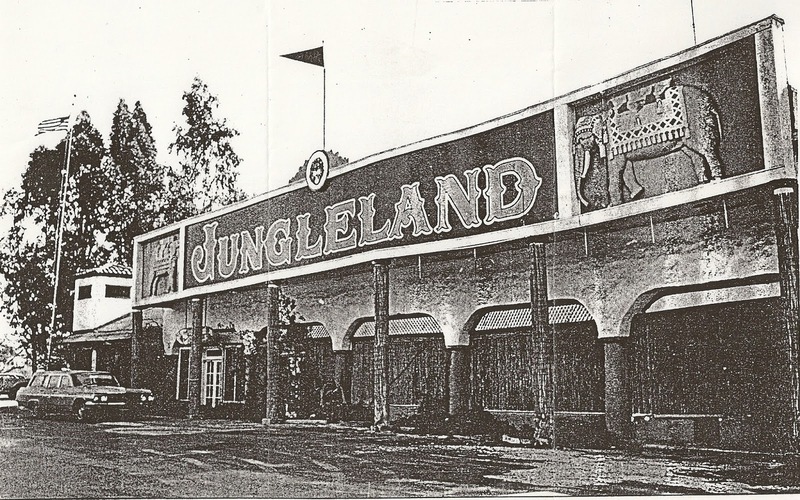 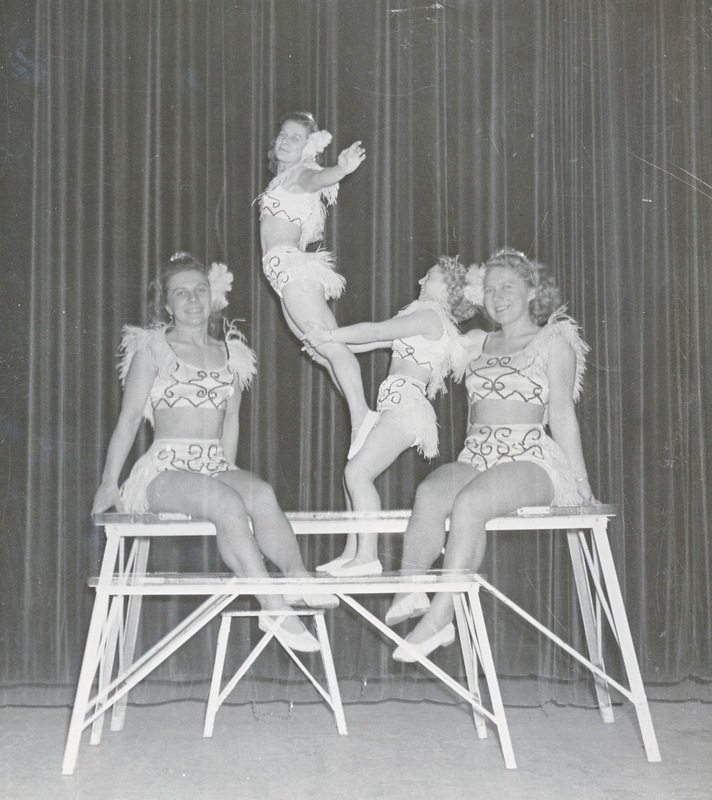 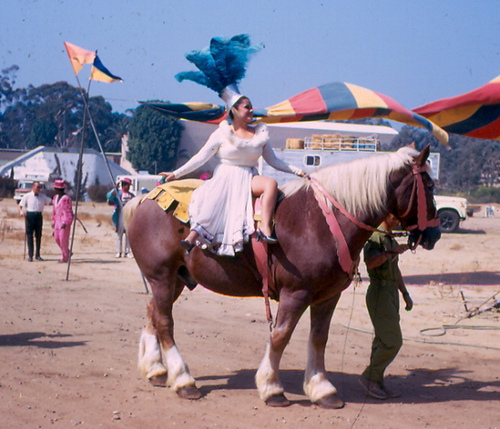 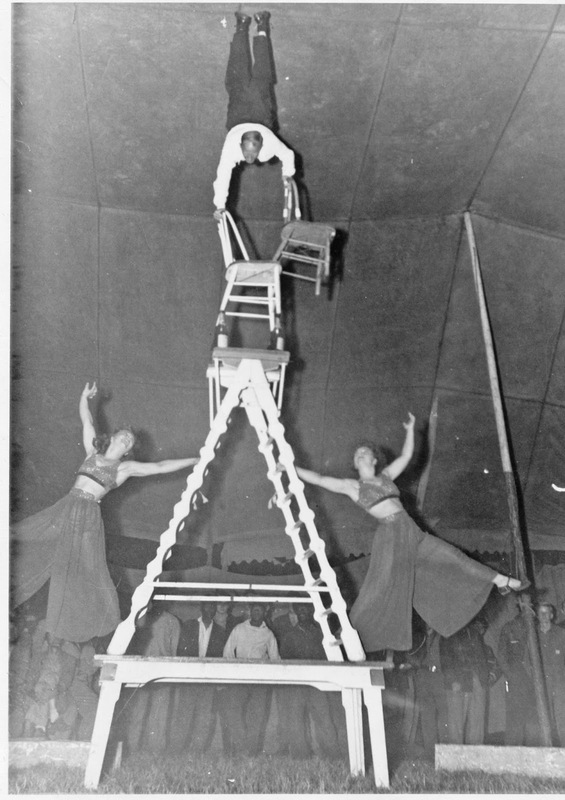 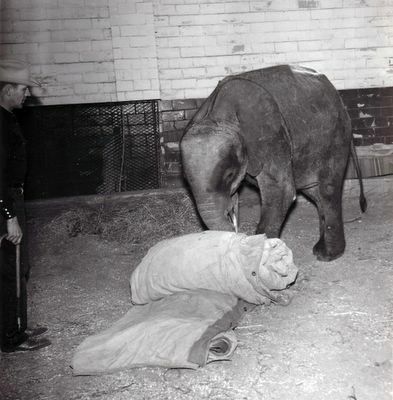 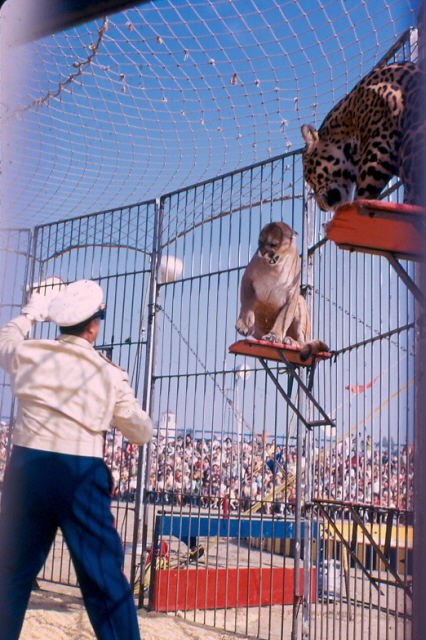 Circus 1957. 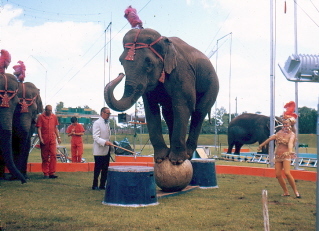 Oscar and Marion Cristiani with "Emma".